HAPPY NATIONAL CHEESECAKE DAY! July 30th! I want to celebrate this made up holiday too…without feeling bad about it! Anybody can make a cheesecake with cream cheese, sugar, butter, graham crackers + an F-load of fat. Try making it TASTY without such luxuries. Unfortunately, a slice of original cheesecake at the Cheesecake Factory sets you back 450 calories + contains 28g fat + 32g sugar. Challenge Accepted. Here’s your dairy, gluten + refined sugar free recipe. We’ve cut 200 calories, 50% fat + 70% sugar! Guess what, it’s also high-protein. Each slice has 15 grams protein! EGGS ARE NOT THE ENEMY! #2 Bake It. Genuinely love the idea of a no-bake cheesecake that firms up in the fridge. Yummy, but call it something else. It’s not a cheesecake. 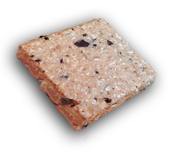 The baking process seals the deal, eliminating the wateriness inherent in the no-bake desserts. Mouth watering yet? 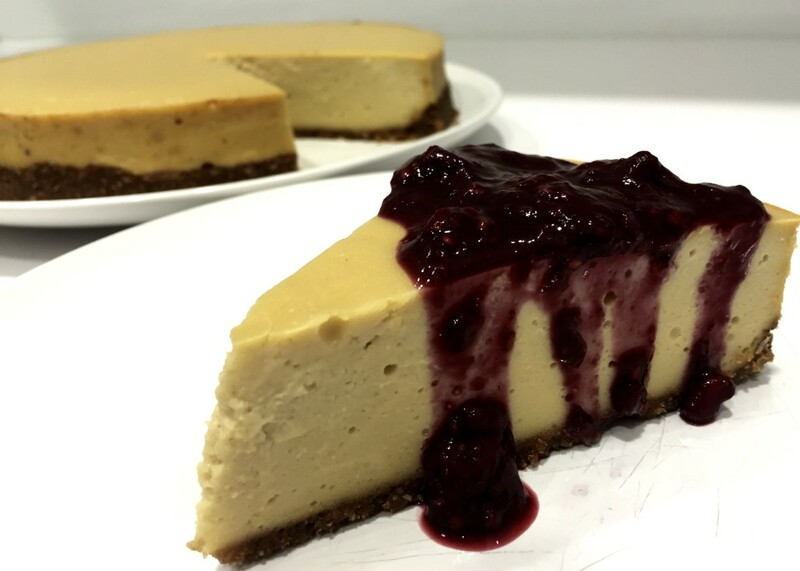 Make a guiltless cheesecake! 2 Tbsp pure vanilla extract. I swear by Neilsen-Massey’s! Prep 9” springform pan. Remove ring + place parchment paper on bottom. Reposition ring + clamp shut. Very lightly grease side of pan with coconut oil. Center pan on a large piece of aluminum foil + fold excess foil up around side of pan. Place foil wrapped pan onto rimmed baking sheet or flat roasting pan. Set aside. Place pecans in high-powered blender or food processor. Pulse until ground. Add remaining crust ingredients. Pulse until mixture has texture of coarse crumbs. Transfer mixture to prepared pan. Use fingers to firmly press evenly along bottom of pan. Set aside. Roughly chop cauliflower into chunks + place in clean blender. Pulse until cauliflower resembles “rice.” Place cauliflower in microwave-safe bowl. Cover with plate. Microwave 5 minutes on high to soften. Rinse cashews + place in blender with coconut milk. Puree until silky smooth. Add cauliflower. Puree til smooth. Add stevia, erythritol, honey, salt, apple cider vinegar + vanilla extract. Blend again til well-mixed. Add eggs. Blend on medium to get light + airy. Pour cheesecake batter over crust. Cover top of cake with another piece of aluminum foil. Carefully, pour boiling water onto baking sheet or roasting pan surrounding cheesecake pan. This is going to allow cheesecake cook via steam (vs straight convection), delivering the creamy unctuous texture cheesecake lovers crave (vs rubbery crud reminiscent of best-intended high protein baking recipes). Bake for 25 minutes on middle rack. Drop temperature to 225F + bake for 40 minutes. To prevent center from “falling,” turn off oven + crack open door. Leave for an hour or so. Place covered cheesecake in fridge to allow to thoroughly cool. Promise, it’s worth waiting for! Almond. Sub almonds for pecans in crust. Reduce vanilla extract to ½ tsp. Add 1 tsp high quality almond extract. Highly recommend Neilsen-Massey’s! 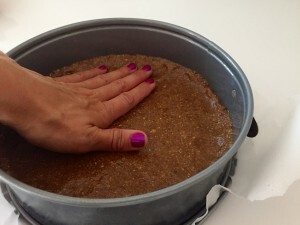 Decorate top of cheesecake with 2 Tbsp slivered or 1 Tbsp ground almonds tossed with pinch of erythritol. Chocolate. Sub 2 Tbsp unsweetened cocoa powder into crust + skip cinnamon. Blend 1/3 cup cocoa powder into filling with sweeteners, omit coconut flour or protein powder. Berry or Cherry Compote. Top with a tangy no-sugar added berry topping. Puree 2 cups of berries of your choice + zest + juice from half a lemon + in blender. Microwave: Pour into a heat-safe bowl + cover. Heat on high for 2-3 minutes or until reduced to desired consistency. Stovetop: Place in small saucepan + raise to boil over medium heat. Stirring regularly. Reduce heat to low. Simmer until desired consistency is reached.